The incident air kerma values to plate were measured using a calibrated ionization chamber (RadCal, model 20X6-60 with electrometer model 2026C) (RadcalCorporation: Monrovia, CA, USA). The air kerma was measured at 50 cm focus-to-chamber distance and the corresponding incident air kerma to IP calculated by an inverse square law. Each incident air kerma on IP was corrected for "off axis variation." The determination of incident air kerma was repeated before the irradiation of each IP. For purposes of mean pixel value (PV) and the standard deviation of mean pixel value (PVSD) measurements, images were transferred to the table top computer and analyzed using Image J, a freeware image processing and analysis software available in the public domain ( http://rsb.info.nih.gov/ij/ ). , The system-indicated parameters, such as speed index (lgM), scanned average level (SAL), window, level and exposure index (EI), were read from the respective equipment consoles. The lgM, SAL, and EI were also calculated for comparisons with the systems' indicated values. Twelve tests are recommended for acceptance testing and quality control of CR systems in AAPM Report 93. In this work, five quantitative methods and one subjective method were applied. Quantitative tests included IP dark noise and uniformity, and dose (exposure) indicator calibration accuracy. Others were system linearity and auto-ranging response, evaluation of noise level erasure thoroughness. The advantage of the results from quantitative tests is the fact that objective comparisons can be done with other similar studies. In addition, the contrast detail analysis, which is one of the recommended subjective tests, was also included in the study because it is part of noise level evaluations. Moreover, the clinical image quality evaluation is eventually performed in a similar subjective way, which provides a link to clinical practice. Unless specified otherwise in the text, the evaluation was done using the recommended testing parameters and conditions. The tests evaluated are briefly described in the next sections. The purpose of this test was to assess the accuracy of the plate exposure values calculated using dose (exposure) indicators. The dose indicator gives a surrogate measure of the PSP detector equivalent radiographic speed for a given exposure. This test was performed using three different sizes of IP by applying the tests recommended by manufacturers except the delay read out time, which varies between manufacturers. In this study a fixed delay time of 10 min was applied in order to reduce variation in phosphorescence lag. In addition to this test, the comparison of the measured air kerma to plate and the calculated values was performed. However, such comparison is not recommended in AAPM report 93 under the test of exposure (dose) indicator calibration accuracy. The differences of the mean low contrast scores.i.e. for 11 mm detail sizes between the imaging systems for three observers were tested for significance using the Mann-Whitney test software ( http://faculty.vassar.edu/lowry/utest.html ). The difference was considered significant if the probability P was less than 0.05 at 95% confidence level. The evaluations of dark noise and uniformity response for studied CR systems are presented in [Table 1], [Table 2] and [Table 3]. It can be seen that the results were well below the test criteria for Agfa CR system [Table 1]. For Kodak CR system, the EI results were also adequate [Table 2] and [Table 3]. In contrast, the PVs for Kodak CR systems appeared to be higher than the recommended limiting values. However, if the definition of EI  is considered, an offset PV value of 2000 is ought to be subtracted from the determined mean PV value and hence compliant with test criteria. The PVSD values for dark noise test were also observed to be higher than the recommended test criteria. This is probably attributed to the influence of PV offset effect and intrinsic detector characteristics such as noise, sensitivity, etc, which vary from one plate to another. ,,, On the uniformity response, it can be seen that the EISD of Kodak 1 CR system met the test criterion [Table 1] while the compliance of EISD of the Kodak 2 CR system and the PVSD values for both systems were less satisfactory. The same reasons given for Kodak 1 CR system with regards to high PVSDs also applies for Kodak 2 CR system. The results of exposure indicator accuracy test are presented in [Table 4], [Table 5] and [Table 6]. For the Agfa CR system, both the normalized lgM and normalized SAL values were lower than expected and therefore non-compliant with the test criteria, whether single screen or for all screens averaged [Table 5]. Also shown in [Table 4] is the comparison of calculated against measured incident air kerma to each plate, which shows systematic lower calculated than measured values. This is an indication that the original tuning of the CR system had changed. [Figure 2] shows the linearity and auto-ranging properties for the Agfa CR system. The comparison of the calculated to the measured air kerma values during this test is presented in [Table 7]. It can be seen that the CCs were adequate as per test criteria, i.e. R 2 > 0.95 [Figure 2]. The expected slopes of 1, 0.5, and 1250 for plots of lgM versus log K, log SAL versus log K and PV versus log K respectively were also adequately met. This implies that no other noise sources were interfering with the quantum-limited operation of CR system. ,,, The results presented in [Table 7] shows systematic lower calculated incident air kerma to the plate than to the measured values as previously observed in [Table 4]. The results of linearity and auto-ranging characteristics for Kodak CR systems are presented in [Figure 3] and [Figure 4]. The test criteria (slopes and CCs squared (R 2 ) of 1000 and R 2 > 0.95) in relevant plots were adequately achieved for Kodak CR systems. The expected slope was 1000 for EI versus log K graph and PV versus log K while the R 2 > 0.95 for the graphs as required. [Table 8] and [Table 9] show varied results between the calculated and measured values of incident air kerma to plate for both CR systems, which is mainly attributed to individual system's characteristics. The noise characteristics for Agfa and Kodak CR systems are presented in [Figure 5]. The CR systems exhibited the expected performance as the quantum noise should ideally decrease with increasing air kerma to plate. , With regards to the CCs, all values were above 0.95 as required by test criteria except in one situation. [Figure 6] presents the contrast detail results of the studied CR systems. The inter-observer variations are indicated as the standard deviations of the means of individual scores. The differences of the mean low contrast scores between the imaging systems were statistically significant for Agfa and Kodak CR 850A at 95% confidence level (P=0.009) and for Kodak CR systems (P=0.006). This is probably due to the fact that CR systems had different ages in operation. However, the differences were not statistically significant between Agfa and Kodak CR 850 (P=0.284) suggesting similar perceived image quality because of similar ages. The number of visible details (NVD) varied depending on the type of CR system, IP type, IP size, or detail size. Generally, NVD increased with plate exposure above 10 μGy for most CR systems, plate sizes, and detail sizes, with some exceptions. This was expected since contrast sensitivity should improve with increased exposure in a quantum limited operation of CR system. Exceptions are likely to be attributed to intrinsic variations in IP readers, IP sensitivities as also experienced elsewhere. , The inherent subjectivity in the contrast detail scoring methodology can be another possible explanation. The results suggest that the plate exposures beyond 10 μGy do not improve the detail visibility and hence the potential for patient dose reduction if such exposures are avoided. The results of the erasure thoroughness test for three CR systems are presented in [Table 10]. Except PVs and PVSDs of Kodak CR systems (whose explanation has been already given), the results demonstrated adequate erasure performance. The evaluation of the performances of CR systems is one of the important aspects of quality assurance in diagnostic radiology. This may take different forms such as acceptance testing, constancy testing, clinical testing, or optimization. In this study, the performances of three CR systems have been evaluated in order to establish the actual status for constancy testing purposes. Despite this evaluation, the choice of the suitability of particular CR system over another is beyond the scope of this work as extensive tests including physical image quality metrics are necessary before such conclusion is made. Varied performances between the clinical CR systems have been attributed to differences in detector formulations, plate readers' characteristics, or ageing effects. There are limited studies in the literature for direct comparison with the present results because of differences in methods used or type of CR systems tested. The Medicine and Healthcare Products Regulatory Agency (MHRA) in collaboration with other organizations in the United Kingdom (UK) periodically evaluate the performances of new CR systems in the market. , In such assessment, the performance specification data of individual CR system or a group of CR systems is evaluated to provide technical information to prospective buyers. There is scanty information on the evaluations of CR systems based on AAPM Report 93 methodology. One study  evaluated the performance of CR systems using a method similar to that of AAPM Report 93 but the majority tests were subjective tests. In this study, one quantitative test of exposure indicator calibration accuracy was performed. The values for this test varied from 6% to 58% for Kodak CR 400 and from -3% to 22% for Agfa Diagnostic Centre (ADC) compact. In the present study, the exposure indicator calibration accuracy varied from -34.5% to -39.7% (Agfa CR) [Table 4] and from -18% to 13.5% (Kodak 1 and Kodak 2) [Table 5] and [Table 6]. Therefore the results of the two studies are nearly similar for Agfa CR systems but different for Kodak CR systems. The differences for the Kodak CR systems are probably due to technological improvements in the present imaging systems. During this study, three main aspects were experienced and are worthy discussing. First, it was difficult to confirm the status of raw images even though the protocol identifies the test conditions that usually lead to raw data. The pixel spacing on DICOM header remained constantly independent of any exposure conditions suggesting that post processing existed to some extent. Second, in some installations, it was not possible to meet all test conditions such as the 180 cm SID setup, beam quality, beam intensity, level setting of "4096-EI" in or the "default or equivalent to 1 log(E)" window setting noise measurement for Kodak CR systems. For example, attempts to set the recommended level "4096-EI" resulted to dark image while "default" window setting retained PVs much higher than the test criteria. The setting of 1 log(E) window could not be done as related information was not available in user operational manual Third, the usefulness of excel spreadsheet for acceptance testing of CR systems developed by Ehsan Samei of Duke University ( http://www.toodoc.com/Ehsan-excel.html ) is part of the positive experience from this study. The use of worksheets minimized errors and formed an important self-audit check mechanism to achieve desirable quality evaluations. The overall functioning of CR systems involves complex mechanisms that necessitate regular quality control (QC). , In this study, the QC tests have been performed for three CR systems in clinical practice using six methods recommended in AAPM Report 93. The results have indicated varied performances between the CR systems. However, comparable contrast detail scores were achieved for two CR systems, implying similar perceived image quality of test images. The non-compliance with performance criteria in some situations has mainly been attributed to different detector formulations, plate readers' characteristics as well as aging effects. The study has demonstrated the need to implement QC program regularly. The work was supported by joint program of the International Centre for Theoretical Physics and the International Atomic Energy Agency (421.IAEA.02G) as well as the project on Safety and Efficacies for New Technology and Imaging using New equipment to Support European Legislation (SENTINEL FP-012909).The permission granted by the authority of the University Hospital (Udine) to undertake this study using hospital facilities is specially acknowledged. The technical assistance of M. Florean and E. Cragnolini on computed radiography facility is also appreciated. 1. American Association of Physicists in Medicine. Acceptance testing and quality control of photostimulable storage phosphor imaging systems, AAPM Report No. 93, Report of AAPM Task Group 10, AAPM 2006. 3. Charnock P, Connolly PA, Hughes D, Moores BM. Evaluation and testing of computed radiography systems. Radiat Prot Dosim 2005;114:201-7. 5. King′s Centre for the Assessment of Radiological Equipment (KCARE), "Protocol for the QA of computed radiography systems, commissioning and annual QA tests". London, UK: KCARE; 2005. Available from: http://www.kcare.co.uk/Education/protocols.htm [Last accessed on 2009 15 Aug]. 6. Institute of Physics and Engineering in Medicine (IPEM), "Recommended standards for routine performance testing of diagnostic X-ray imaging systems", IPEM Report 91, York, UK 2005. 7. Rasband WS. Image J. U. S. National Institutes of Health, Bethesda, Maryland, USA, Available from: http://rsb.info.nih.gov/ij/, [Last accessed on 1997-2006]. 8. Abramoff MD, Magelhaes PJ, Ram SJ. Image Processing with Image. J Biophotonics Int 2004;11:36-42. 9. Bradford DC, Peppler WP, Dobbins 3 rd JT. Performance characteristics of a Kodak computed radiography system. Med Phys 1999;26:27-31. 10. Fetterly KA, Hanqiandreou NJ. The effects of x-ray spectra on the DQE of computed radiography system. Med Phys 2001;28:241-9. 11. Fauber TL, Legg JS, Quinn M. Variation in CR imaging plate readers. Radiol Technol 2002;74:15-23. 12. Flynn MJ, Samei E. Experimental comparison of noise and resolution for 2k and 4k storage phosphor radiography systems. Med Phys1999;26:1612-23. 13. 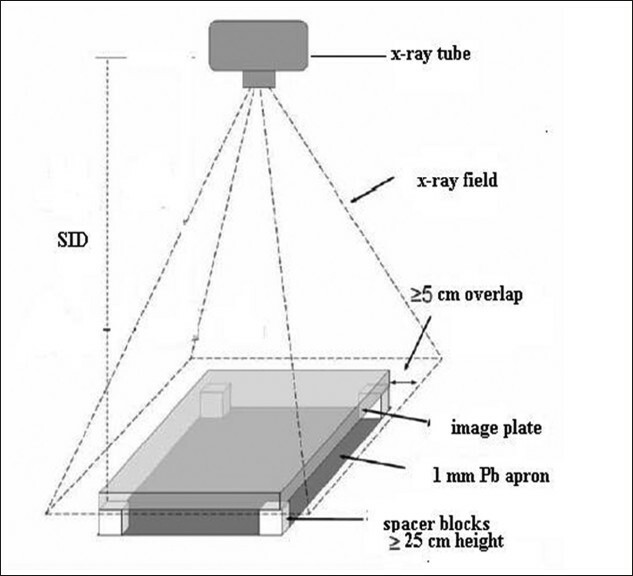 Nakano Y, Girdo T, Honda S, Akihiro M, Wakamatsu H, Yanagita T. Improved computed radiography image quality from BaFI: Eu photostimulable phosphor plate. Med Phys 2002;29:592-7. 14. Van Metter R, YorkSton Y. Factors influencing image quality in digital radiographic systems, Proc SPIE 2001;4320:244-56. 15. Tapiovaara M. Relationships between physical measurements and user evaluation of image quality in medical radiology-A review. Radiation and Nuclear Safety Authority (STUK), Helsinki, Finland, A 219, 2006. 16. Lu ZF, Nickoloff EL, So JC, Dutta AK. Comparison of computed radiography and film/screen combination using a contrast-detail phantom. J Appl Clin Med Phys 2003;4:91-8. 17. Medicines and Healthcare Products Regulatory Agency. Comparative specifications of computed radiography systems for general radiography, 2 nd ed. United Kingdom: MHRA 03140; 2003. 18. Centre for Evidence Based Radiology. Computed radiography system for general radiography, Agfa Healthcare, Report number 06004, United Kingdom: 2006. 19. Tucker JE, Contreras M, Wider RJ, Radvany MG, Chacko AK, Shah RB. Photostimulable storage phosphor image acquisition: Evaluation of three commercially available state-of-the-art systems. J Digit Imaging 1999;12:54-8. 20. Krupinski EA, Jiang Y. Anniversary paper: Evaluation of medical imaging systems. Med Phys 2008;35:645-59. 21. Gur D. Imaging technology and practice assessment studies: Importance of the baseline or reference performance level. Radiology 2008;247:8-11.